We know you like shopping, especially online, and from the US. We thought we would help you save your wallet and your hard earned money. Not all goods are worth buying around the year. It's just the opposite, Thanks to many holidays and marketing events it's often worthwhile to wait for seasonal deals and various themed events. In the spring, we recommend to look at discounts on clothing, sellers usually want to get rid of supplies so they offer interesting discounts. In addition to clothing, it pays to look after suitcases, especially if you are passionate travelers, vacuum cleaners, kitchen equipment or digital cameras. 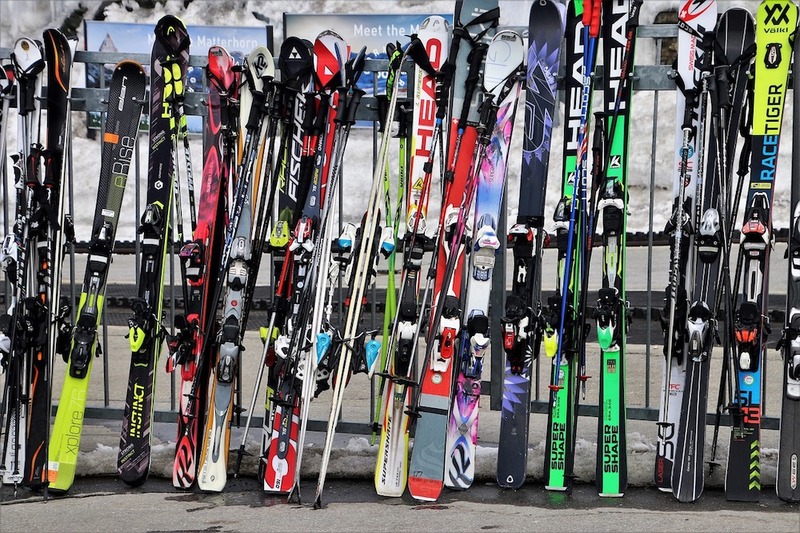 We must not forget about equipment for winter sports such as skis, cross-country skis or snowboards. Discounts of all kinds - there are not many shopping holidays in March that would be linked to major discount events, anyway, there is one here - St. Patrick's Day. During this holiday, some online stores discount different types of goods. Sports equipment. the winter has ended and that means huge discounts to snowboarding, cross-country skiing, skiing and other equipment for all kinds of winter sports. Skiing or snowboarding? Which one is your favorite? How to save even more money? Take advantage of cashback portals! Suitcases and backpacks - there are still months left for the main holiday season, but the suitcases and backpacks are available at the best prices in April. Sweets - although an Easter holiday date is floating, they are mostly celebrated during April. Not always the retailers are able to sell all supplies, so after Easter, you can expect decent discounts on sweets (especially chocolate). Car maintenance equipment - after winter, you need to take care of your car properly. That is why many vendors reach discounts on detergents, oils and other necessary equipment to maintain your car during this period. Jewelry - There are no Valentine's Day or Mother's Day holidays (when jewelry is often gifted to your loved ones) during the April, so dealers try to motivate their customers to buy through discounts. That's why April is a good time to buy some jewelry in advance. Star Wars merchandise – 4th May begins to be popular in the US, especially thanks to Star Wars ("May the Fourth Be With You"), Big retailers such as Amazon and Target make Star Wars merchandise cheaper by dozens of percent. You can get Christmas gifts in advance to please your friends - Star Wars fans. If you rather prefer a Late Night Show night show, read our two-part article on how to get merchandise of the US late night shows directly from the US. Office equipment - If you work from home, it is appropriate to equip your office as part of your work productivity. Do so in May, when you can find interesting discounts on tables, chairs, shelves, etc. Swimsuits - Summer is slowly approaching and swimwear is expanding. It may seem that the best prizes will be after the season, but May is a small exception in this. Stores such as Amazon offer a huge selection of swimwear at very attractive prices. Mattresses - Mattresses are quite often cheaper in May, thanks to the Memorial Day. Due to the relatively high mattress prices, it pays off to wait for some nice discount. In the summer, the calendar year is in its half, thanks to which some vendors "celebrate" and hold semi-annual sales outlets. It is worthwhile to watch big brands, for example, discounts in Victoria's Secret, Brooks Brother, and other brand stores are highly anticipated. If you love nature and vacation at the sea, we recommend you to be prepared. There are discounts on lingerie, camping equipment, tools and more. Lingerie - as we have already indicated in the introduction, June is a good month for tracking discounts on lingerie. Discounts in Victoria's Secret will delight every woman. Subscriptions to magazines and gym - On June 14, Father's Day takes place. Not everyone celebrates it, but which father would not have enjoyed a small gift in the form of a subscription to a popular topic magazine such as sports, cars, travel or health? Thanks to the weather, it is worthwhile to see also gym subscriptions or other group training. Tools - "The right man has to have a knife," always said my grandfather, but the tools are not just knives. As a father-day gift, buy screwdrivers, keys, and other tools to repair, for example, a broken washing machine, drain, or a car. Amazon products – in July, watch the Amazon Prime Day. Amazon makes great deals for goods such as electronics. We also dedicated a full to shopping on Amazon topic. Amazon Echo Show, Kindle Paperwhite, Echo Dot 2nd Gen. Artificial trees - why buy an artificial tree in July? The answer is simple, the artificial tree does not fall off, so you can buy it at a convenient price, pull it out of the basement and build it when it's needed - on Christmas. Furniture - chairs, tables, chairs, cabinets and other equipment for your household are discounted in July. Stores are getting rid of supplies and preparing for new collections. Camping equipment - Camping and holiday season is slowly coming to an end, making camping equipment, such as tents, folding tables and chairs, burners, trekking sticks, headlamps and other products designed to make your stay more enjoyable in nature, really cheap. Shoes – the sales of sneakers, sandals, and other types of shoes begin in the summer months. Do not miss to grab some cool model from one of these sites. Back To School – Back To School campaigns start in August, so you can buy backpacks, writing supplies, electronics or clothing for better prices for your children. 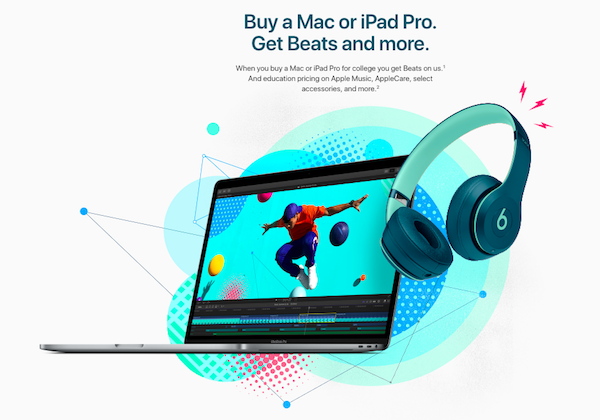 Back To School campaign on Apple.com. Swimwear - the summer season ends at the end of the August, so swimsuits are often much cheaper. During autumn, it is worthwhile to buy summer clothes, older iPhone models, bicycles, bicycle equipment, roller skates, and other summer sports equipment. In the autumn, wine collection, airfares, and the biggest shopping feast – Black Friday – are also taking place. Wine – wine is usually harvested and various varieties of wine are planted in August and September. If you can not wait for this year's crop, we recommend wine. And as a bonus for you, we have a great message, because we can send you exclusive wines from the USA, we are licensed to send alcohol. Fashion – August, and September are great months for shopping for summer collections of clothing because vendors are preparing for winter collections. Often, for example, shirts, jeans, shorts and other pieces at a fraction of the price can be purchased. Summer sports equipment - End of the summer season begins and prices for equipment for summer sports such as cycling, jogging, roller skating, golf, etc goes down. Air tickets - During September, many cheaper air tickets can be found, so if you put your vacation down until September, you have done well. You can find flights literally for several dozens of dollars! Apple products – every September is running Apple Keynote, where Apple presents its new products. With the purchase of a new iPhone, MacBook or iMac, it is worthwhile to wait until September, that is, October when prices of older models fall by as much as a few dozen percents. 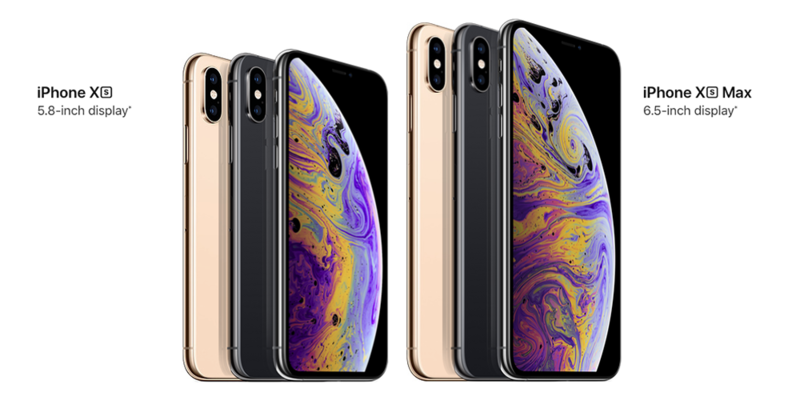 By the way, have you met the new iPhone models Xs, Xs Max, and Xr? Halloween - in October, Halloween is traditionally celebrated around the world. Prices for costumes and decorations are higher before Halloween, but as soon as the holiday is over, vendors go for big discounts. Tools for the garden - in October it is almost winter around the corner. Many vendors sold their goods much cheaper. Look for garden tools such as garden shears, leaf vacuum cleaners, grass-cutters, etc. Black Friday – Probably the most famous shopping feast ever, Black Friday, is held regularly last Friday in November. Huge discounts, sometimes up to 90%, can be found on all kinds of goods, especially electronics - vacuum cleaners, refrigerators, laptops, gaming consoles, televisions, etc. Tip: Read the 10 facts about Black Friday you probably didn't know (if you are not a regular reader of our blog :). Winter – The Best Opportunity For Shipping Maniacs? Winter is probably the only exception to discounts on clothing. Yes, you can find discounts on clothes designed for a dashing autumn, but these discounts certainly do not go as much as discounts on summer clothes during the autumn. In winter, we recommend searching for toys, pending sales of electronics of all kinds or Christmas decorations. Toys – sellers do not want to have huge toy stocks after Christmas, so toys prices usually go down during December. Christmas decorations – Christmas decorations prices are going down logically after Christmas. So if you managed to break some ornaments, you have the perfect opportunity to add some to your collection to the next year. Enjoy Free Shipping – in December there is a so-called Free shipping day involving large chain retailers and small vendors. Christmas presents will be delivered to you free of charge from many different shops. Electronics – at the turn of the year, especially thanks to Christmas, there are huge sales of electronics, smartphones can be bought at great prices, TV's, computers and laptops. Bedding - big retailers in the US, such as Kohl's, Macy's and others, offer throughout the whole of January discounted rates for bed linen, bedding, and towels. Gym subscriptions - Many people determine to reduce weight or improve physical fitness as a New Year's resolve, so they look for gym subscriptions, which at this time are quite advantageous. Winter clothing - sales of winter clothing begin normally in the middle of winter, when stores prepare space for spring collections. After Christmas, people are hungry after the clothes, so we recommend hurrying with the purchase. Furniture - new styles of furniture tend to be in stock mostly during February, so sales are in progress already in January. Winter clothing and footwear - even in February, sales of winter clothing and footwear continue at the best sites. And although the offer is quite limited, you still can find a piece that fits your wardrobe. 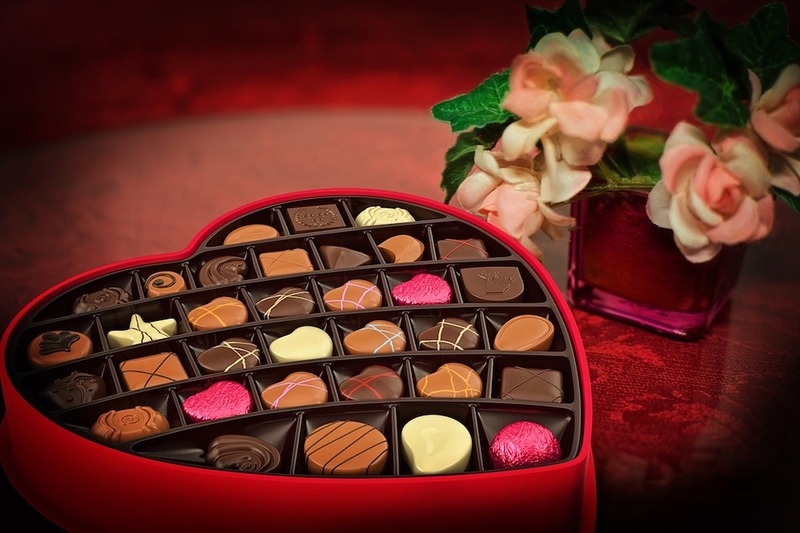 Sweets and Valentine's Day gifts - Valentine's Day is usually celebrated on February 14th, after that date, you can find many discounts for various sweets, perfumes, and other Valentine's Day gifts so you can prepare for the next year. Homeware - February also hosts the Presidents Day. During this holiday, you can find for example sales on beds, mattresses, bathroom equipment, kitchen, living room... just the whole household. Last-minute skiing - the winter season is slowly coming to an end in February, so, like in summer, you can buy an accommodation or a ski pass at a discounted price. Did you like our tips? Share them with your friends. And do not forget, if you need help sending from the US, we're here for you. With discounts, we focused on the US, so not all tips must apply in your country.